Complete Home Solutions’ New Homes Program helps builders and remodelers achieve their desired green industry standards, 2012 Energy Code Inspections, HERS Rating and ENERGY STAR Inspections. 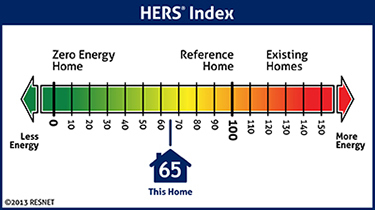 Energy consumption is on the forefront of homebuyers minds’ today. Complete Home Solutions can help you to meet your homebuyer’s needs and save them in utility costs. Operating as an independent contractor, we offer both consulting and testing for the enforcement of the 2012 IECC. We work closely with new homebuilders and remodelers to perform hundreds of code inspections monthly. Our Resnet certified HERS Raters are experts in testing and troubleshooting duct leakage, air infiltration and ventilation. Building to 2012 IECC standards? Complete Home Solutions serves as a HERS rater in Maryland, Virginia, and Delaware to get your ENERGY STAR Certification and receive a rebate up to $1,600! EnergySTAR Homes come with a little label and a big message. Better is better. If you live in Annapolis, Glen Burnie, Pasadena or other surrounding areas, contact us today for more information on energy code inspections and home energy audits! We want to start helping your home become an energy efficient hub so you can save hassle & money. We proudly serve all of D.C. & MD.